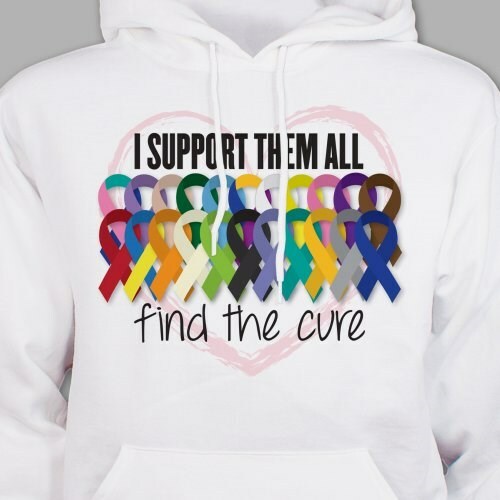 This awareness design is available on our premium 50/50 cotton/poly sweatshirt, machine washable in youth sizes S-L and adult sizes S-2XL. It's perfect! Soft and warm and very beautiful! I love wearing it. About what I expected, but it was on the small size for XL.